A pair of drop earrings, suffused with the vivid colours of pink and cherry red from two pear shaped rubies that compliment the sharp lustre of two black Tahitian pearls. 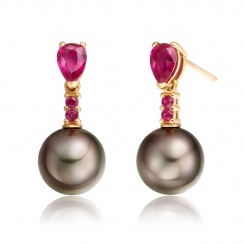 Inspired by the glorious natural colours of these stunning Tahitian pearls, the pink rubies have been carefully selected to draw out the rich dark cherry red overtones of the pearls. 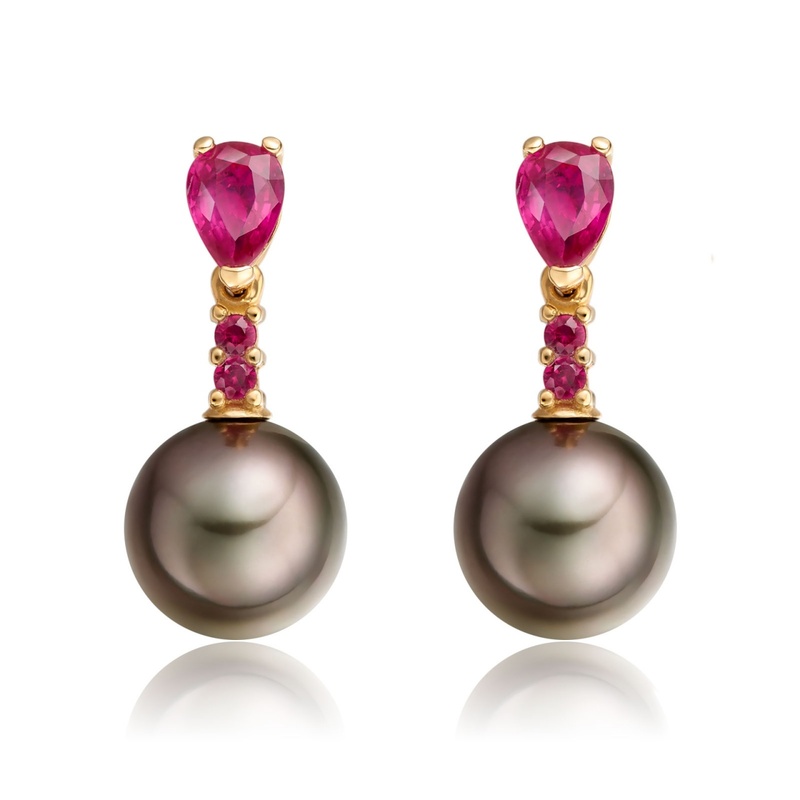 Measuring 9-9.5mm diameter, the pearls are suspended below two perfectly faceted rubies, which have been cut into a soft but striking pear shape. The pearls have been individually chosen and matched for their dark black colour, ensuring that every pair of these exquisite earrings is unique. The total drop of the earrings measures approximately 2cm, with the design also allowing for a gentle, elegant movement. The earrings are fixed to the ear with a standard ear post and pushback mechanism. 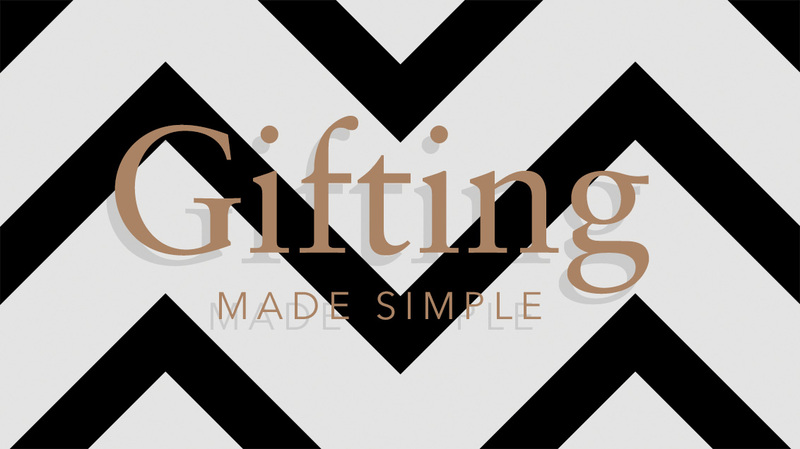 The earrings are carefully crafted in the UK and finished in 18 carat yellow gold. They can be purchased with a matching Classic Pear Drop Pendant in Ruby. Service rating : From order to delivery, Winterson's couldnt have been more courteous. There was a problem (my mistake, not theirs) and it was dealt with immediately and efficiently. Their products are pure class and their customer service, first rate. Product : Beautiful craftsmanship. Classy and Elegant. Reply Thank you very much for these lovely comments and for trusting us with this special gift. It was no problem at all to be able to exchange the chain for you and we hope that the length is now a better style to wear. If we can be of service again in the future, please do let us know and we would be delighted to be of assistance.